FPE Automation's Technology Showcase is Thursday, June 30! Are you from the greater St. Louis area? If so, please do be sure and stop by and see us at the Technology Showcase on Thursday 6/30/16. We'll be at the Sheraton Chalet. Breakout sessions begin at 8:30 and run all day (schedule below). You can see live demos and products, and experts will be available to answer your questions from 10:00-4:00. We'll have valuable prizes and free giveaways, a luncheon and laser marking onsite by Panasonic. Ameren business customers have saved over $265 million and counting through their energy efficiency programs. 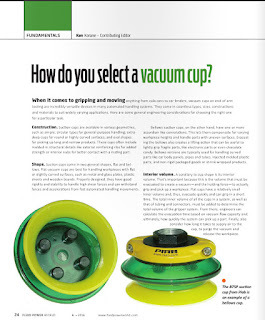 The Mac pulse valve is just one way that facilities with dust collection systems can save huge amounts of money through drastically increased energy efficiency. Today, FPE Automation's Andy Button, Dan McCullough and Joey Bardos and Jason Welker are at the "Sweet Savings" 2016 Business Symposium demonstrating how it all works. If you work in a facility that has a bag house and dust collection equipment and would like to learn more, contact us... or attend our Technology Showcase on June 30 in St. Louis. LinkTech has just introduced 100AC Series couplings that are offered in 1/16" flow capacity and are produced in a durable natural Acetal (POM) thermoplastic making them resistant to most mild chemicals. These couplings feature an intuitive slide latch that easily connects and disconnect up to ten fluid lines, with or without valves on the socket side. The new 100AC Series couplings can accommodate up to ten 1/16", 3mm or 1/8" flow size inserts to meet specific application needs. The 100AC Series couplings interconnect with the 100PP Series couplings as well as other similar industry multi-line slide-latch type couplings. 10AC-BLK couplings are produced in a durable natural Acetal (POM) thermoplastic. The solid black color allows the ability to color key applications. They are also available in a bright white color. These couplings are resistant to most mild chemicals and are manufactured to be trouble free for many years of service. They are intuitive to use and make an audible "click" when coupled with their improved "Easy Grip Barrel." The 10AC-BLK couplings interconnect with the 10PP couplings as well as other similar industry twist lock type couplings. 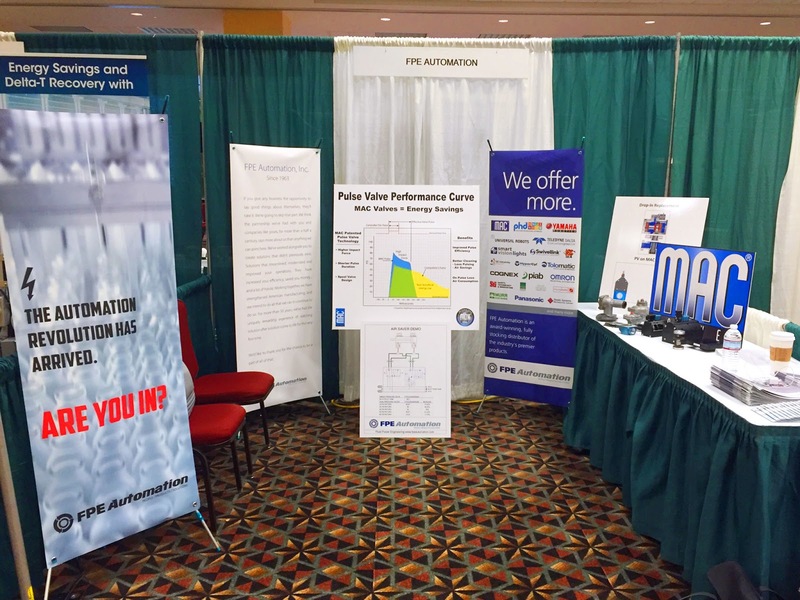 Attention St. Louis Area Customers - Don't Miss the FPE Automation Technology Showcase! Presented by FPE Automation... you are cordially invited to attend. On June 30, some of industry's most influential manufacturers will be present with their latest technology on display, all under one roof for you to experience, hands-on. Where: Sheraton - Chalet, Westport Plaza, St. Louis. When: Thursday, June 30, 2016 (save the date!) from 10:00 - am to 4:00 pm. 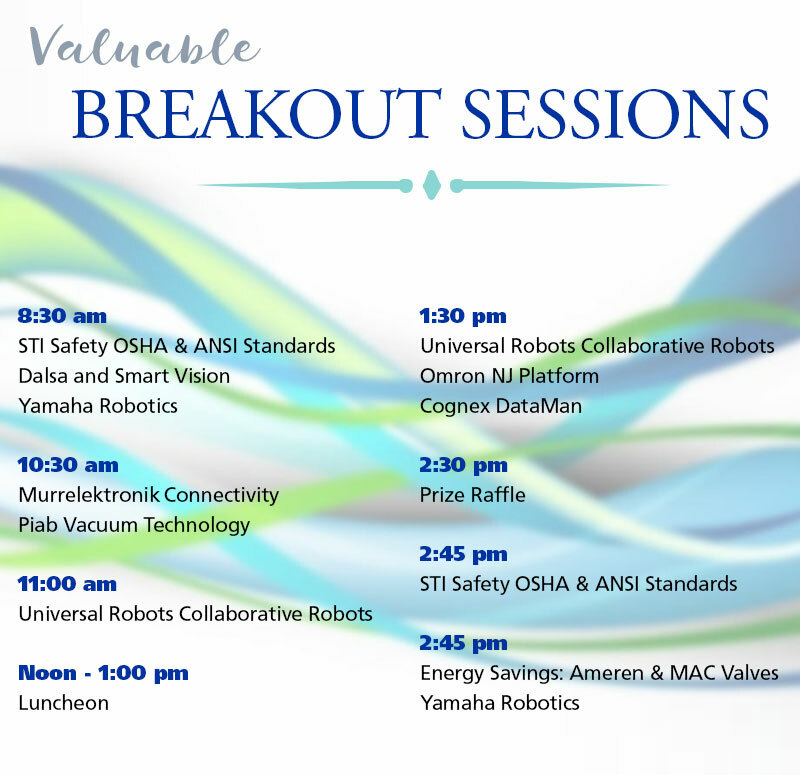 Join FPE Automation for our largest technology event of the year. Several of our most innovative supplierswill be on site at with the latest technologies, breakout sessions and q&a with experts. It's a rare opportunity to witness it all, live and in person, at a private event without the hassle and large crowds you might find at a major trade show. You'll get to see the technology up close in a very personalized setting. This email was sent to you because your email address is on the FPE Automation mailing list. Get the basics of how machine vision technology works and why it's the right choice for automating process and quality improvements. What components do you need to build a vision system? Download this whitepaper to see why automated inspection is vastly superior to manual techniques.